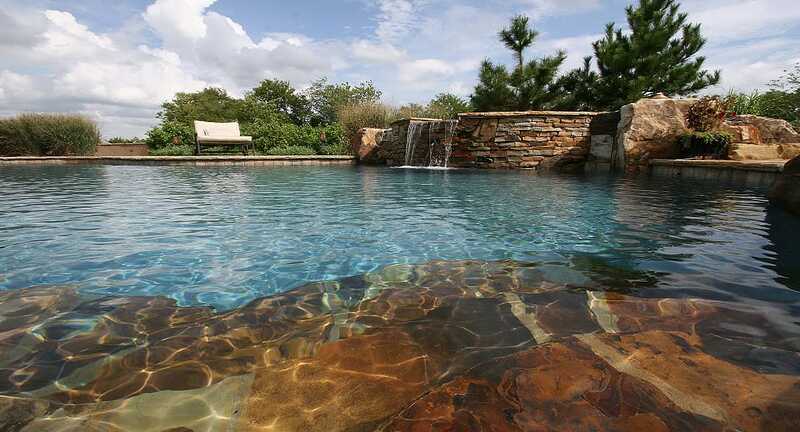 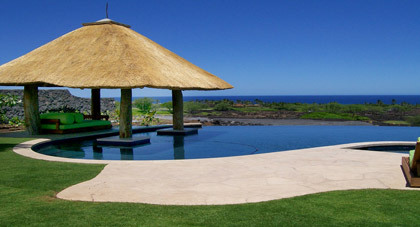 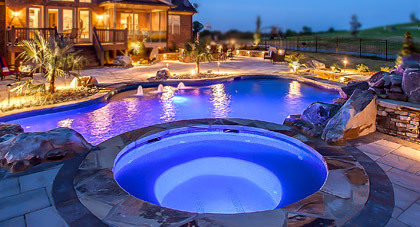 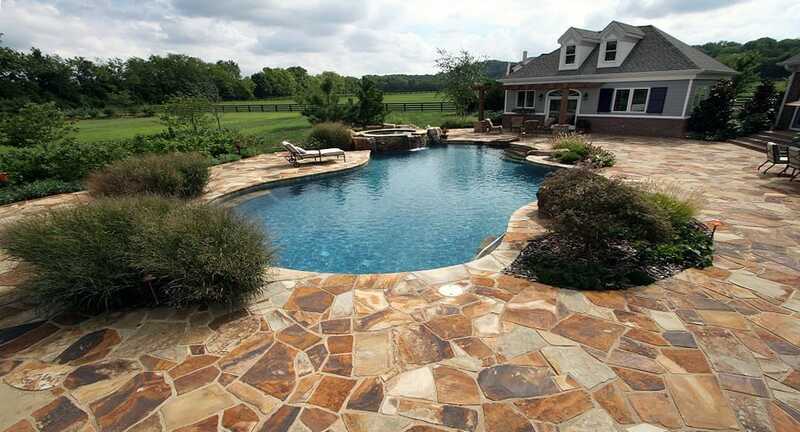 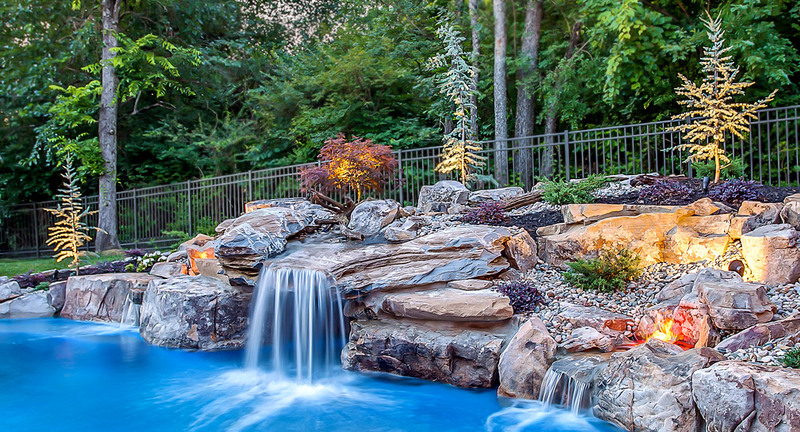 A custom natural pool can turn any day into a special experience evoking nature's beauty right in your backyard. 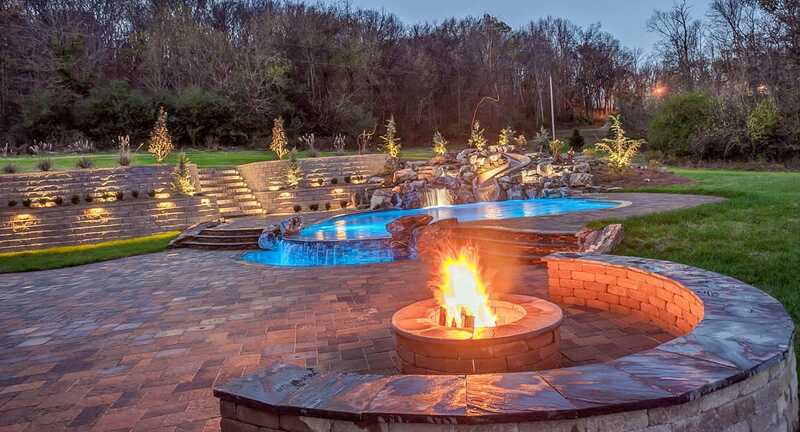 Natural pools and spas are designed to blend with the landscape, creating environment that you might find near the ocean on an island, in the mountains, or at the lake. 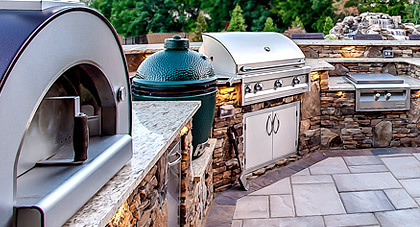 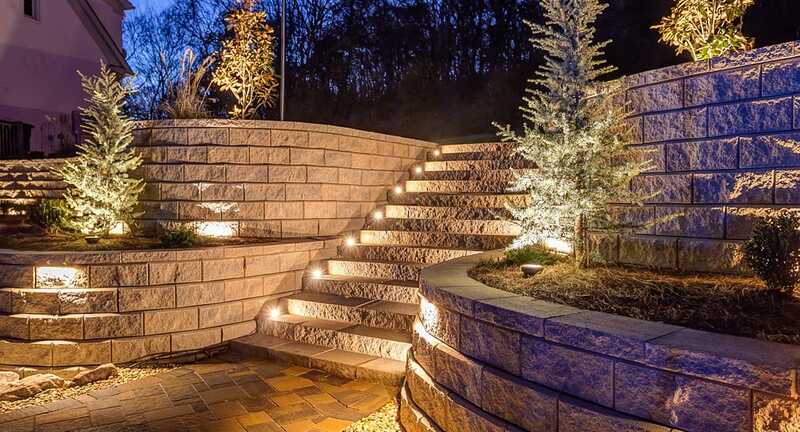 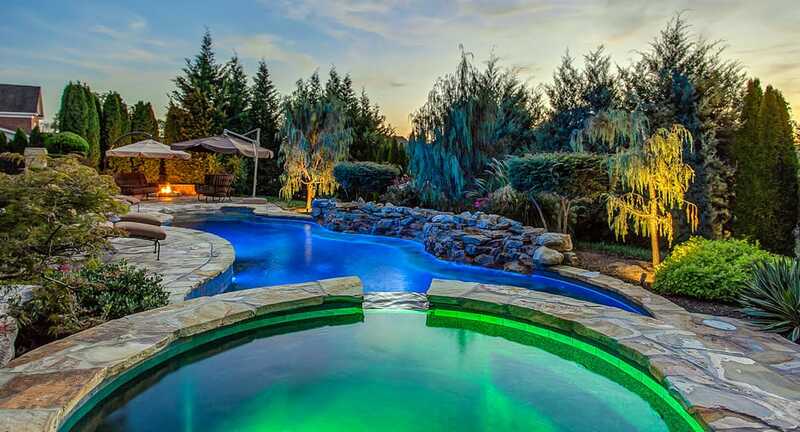 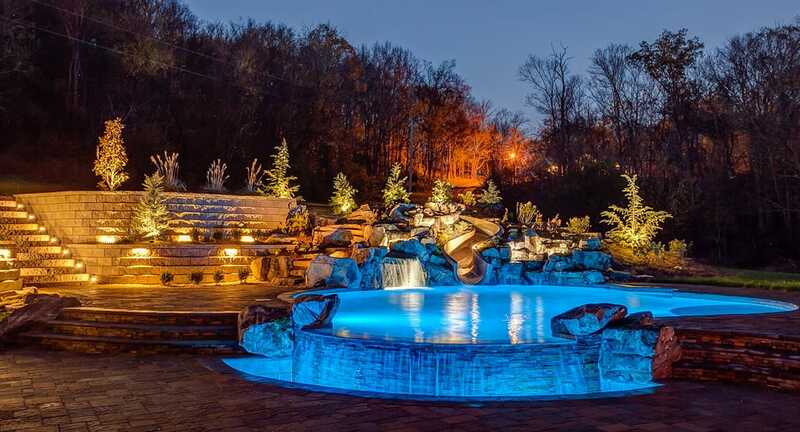 These pool feature organic shapes, patterns and colors with rocks found nature (like river rocks) or man-made rocks that are nearly indistinguishable from the real thing. 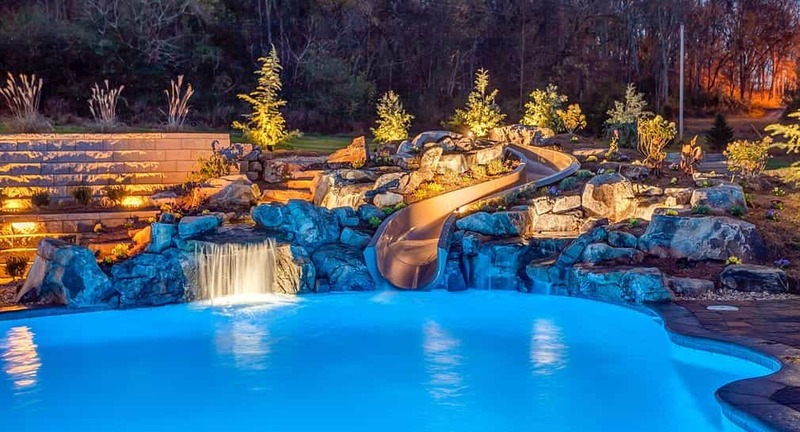 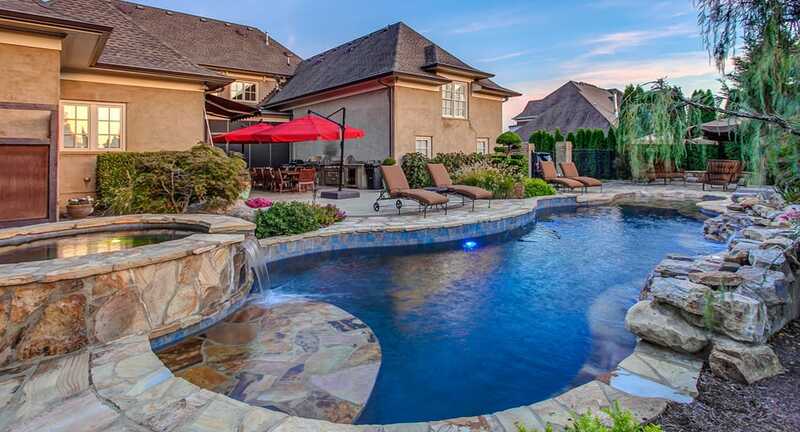 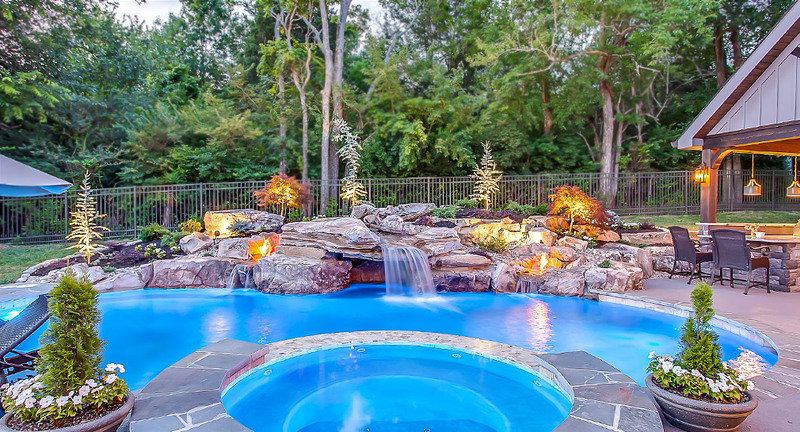 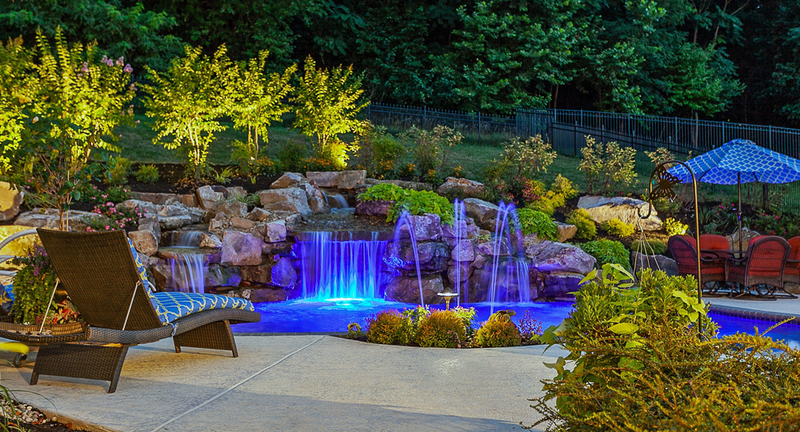 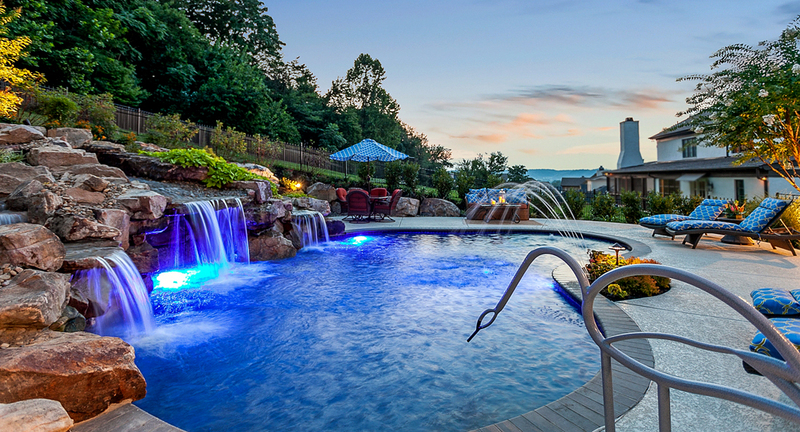 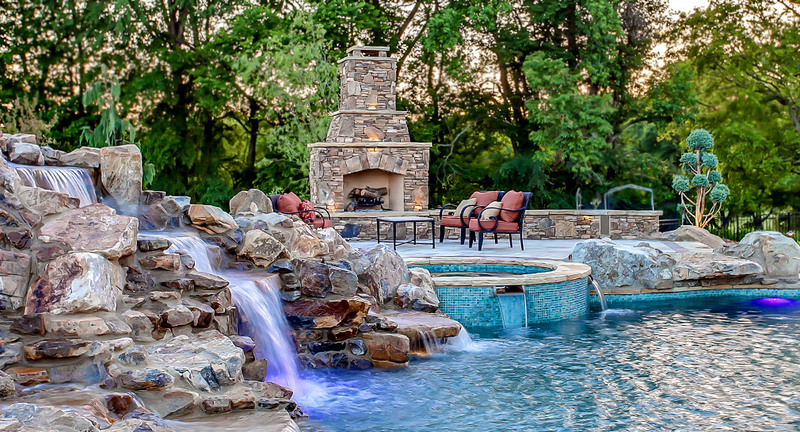 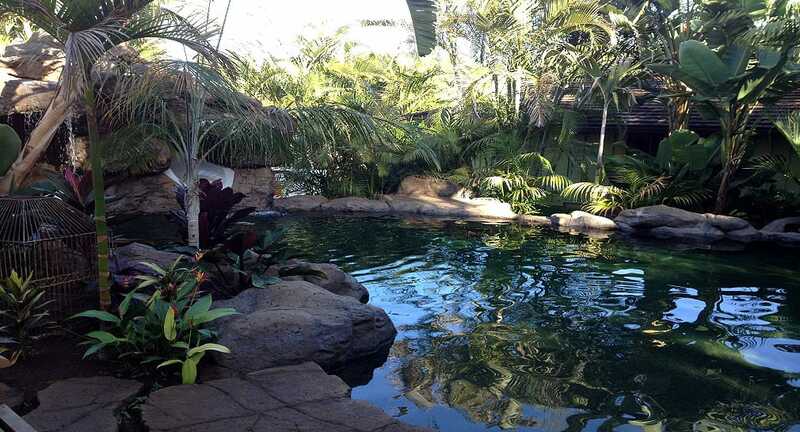 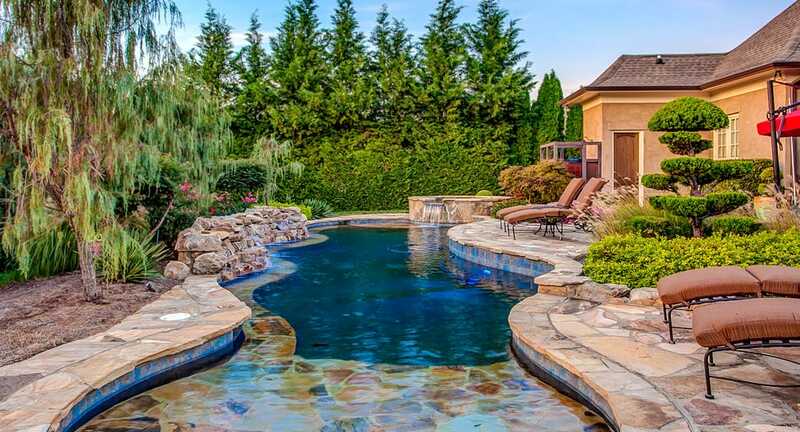 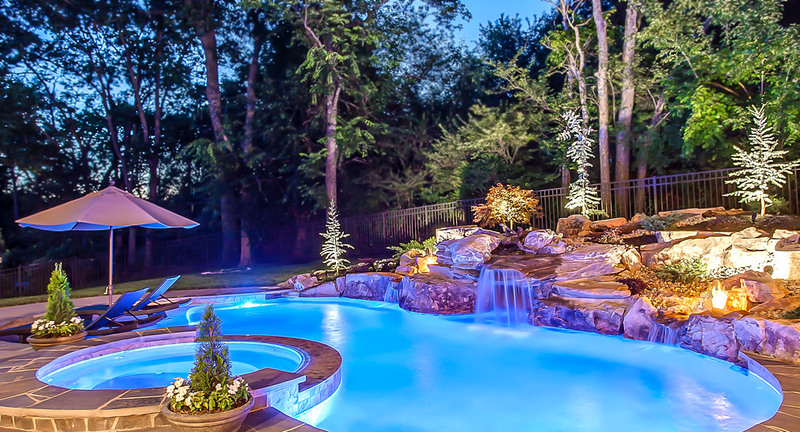 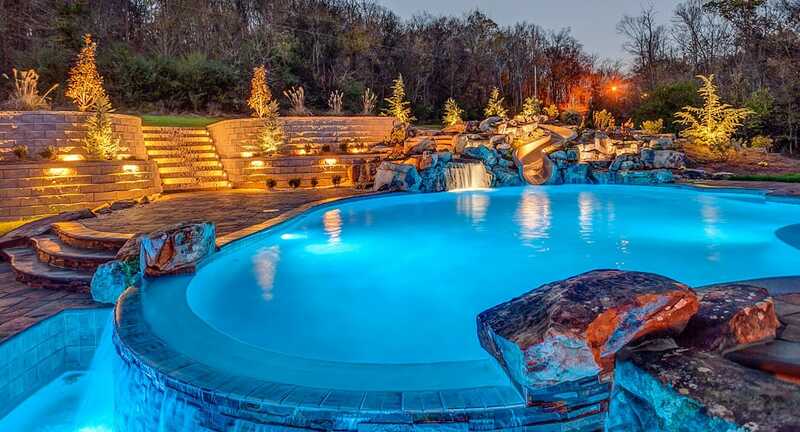 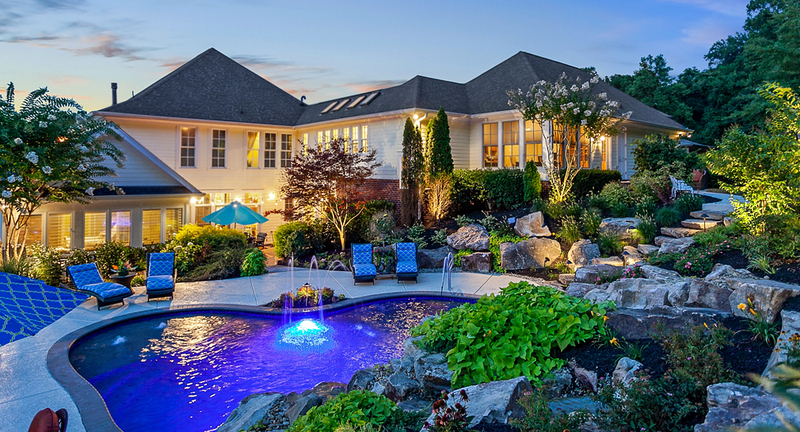 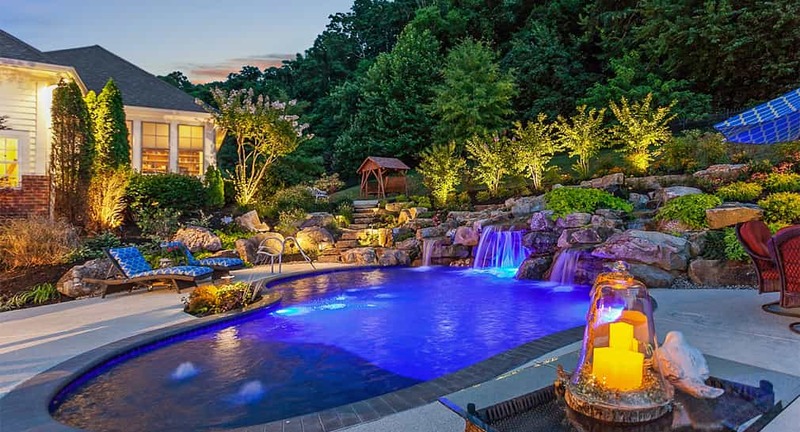 With peaceful waterfalls, walk-in beach entries and all the appropriate greenery, your custom pool could be mistaken for a pristine mountain lake or a calming island oasis.